Windows 10 on the Raspberry Pi board will not run traditional Windows desktop applications, such as Microsoft Word, Internet Explorer, or Microsoft Office. As these are incompatible with the Raspberry Pi’s ARM-based hardware. The Universal Windows apps mechanism will generate more manpower, as the apps development would require Visual Studio 2015, Microsoft’s Integrated Development Environment for its platforms whose Community edition can be downloaded for free. 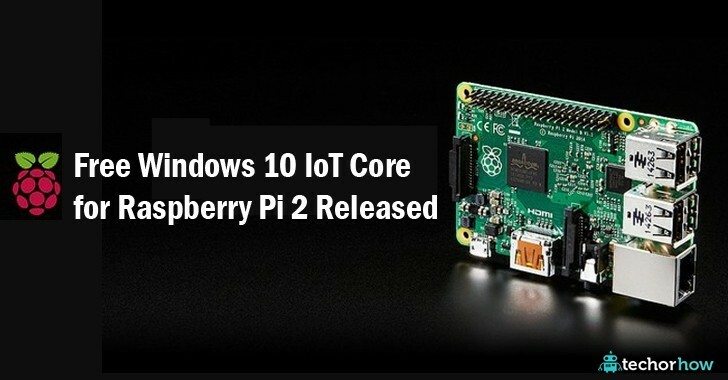 Since a beta version was released and previewed in May at Microsoft’s Build developer conference, ‘Windows 10 IoT Core’ has been updated with significant new functionality, including WiFi and Bluetooth connectivity. Microsoft’s IoT team and Pi-owners have been busy building since the preview, also new in the official release is improved support for Python and Node.js. Additionally, a new Express Node.js project template is available.